TapRooT® is designed for learners at all levels. You will learn to find and fix the root causes of incidents, accidents, quality problems, precursors, operational errors, hospital sentinel events, and many other types of problems. Techniques include: SnapCharT®, Root Cause Tree® & Corrective Action Helper®. Upon course completion, attendees will receive a certificate and a 90-day subscription to TapRooT® VI, the online software service. Most importantly, you will have the advantage of professional training in your wheelhouse and on your resume! We’ll meet at the Hilton Garden Inn Hartford North/Bradley Int’l Airport for the 2-Day Root Cause Analysis Training course. Register here to take the TapRooT® course in Hartford. Connecticut’s capital, Hartford, is home to beautiful parks, a choice of unique museums, attractions, performing arts and restaurants. 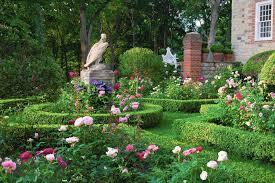 See the stunning Connecticut State Capitol, visit the Wadsworth Atheneum, one of the oldest art museums in the U.S., and stroll through the Rose Garden in Elizabeth Park. 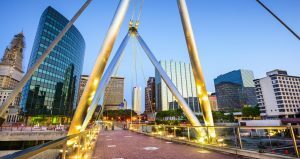 Best things to do in Hartford include the Connecticut Science Center, the Mark Twain House & Museum and the carousel in Bushnell Park. Connecticut State Capitol: At 210 Capitol Ave., the marble and granite state capitol building dates from 1871 and is a U.S. National Historic Landmark. 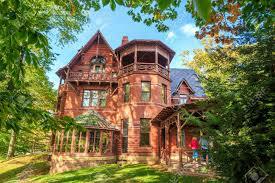 Mark Twain House & Museum: This Victorian Gothic house on Farmington Avenue has 19 rooms and is where Samuel Longhorne Clemens wrote The Adventures of Huckleberry Finn and The Adventures of Tom Sawyer, and where he raised his family. Wadsworth Atheneum Museum of Art, 600 Main St., was founded in 1842 and opened in 1844, one of the oldest art museums in the U.S. You’ll see French and American Impressionist collections, works by contemporary and modernist artists, landscapes by members of the Hudson River School, American decorative arts, and furniture. The Wadsworth Atheneum is the largest art museum in Connecticut and is listed on the U.S. National Register of Historic Places. Lincoln Financial Sculpture Walk: Created to honor Abraham Lincoln, the walk includes sculpture installations, murals, and artwork. Noted historian and biographer Doris Kearns Goodwin was instrumental in the launch of the mobile tour, and is the narrator. Connecticut Science Center: At 250 Columbus Blvd., the Connecticut Science Center is a nine-story science museum with 40,000 square feet of interactive exhibits. A city park on Asylum Avenue, 102-acre Elizabeth Park is the oldest municipal rose garden in the U.S., with 15,000 rose bushes representing 800 varieties. The Park is also home to an outdoor concert series in the summer, and contains greenhouses, lawns, pathways, a pond, and tennis courts. Bushnell Park, 30 Arbor St., has its own summer concert series. The park also offers visitors a tour of the Soldiers and Sailors Memorial Arch or a historical tour. At Bushnell Park (see above), you will find food trucks at the park year round with fare such as the bacon marmalade grilled cheese from Whey Station. Salute, 100 Trumbull St., in downtown Hartford, is a great “meet and eat” spot, with a robust bar and a creative menu. 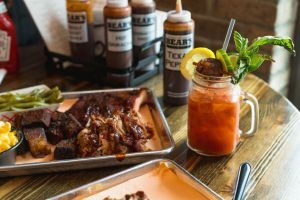 BBQ Bear’s Smokehouse, 25 Front St., smokes meats Kansas City-style and boasts “the best ribs in Connecticut,” along with its delicious sides and desserts. The Capital Grille, 44 Front St., is a great steakhouse with classic American fare in an upscale setting. The Trumbull Kitchen, 150 Trumbull St., is a stylish eatery featuring a inventive menu—from tasters and tapas to soothing comfort food. Firebox Restaurant, 539 Broad St., is set in a renovated forge, with an upscale-casual atmosphere and a farm-to-table New American menu. Sarah’s Coffee House, 257 Asylum St., is farm-to-table and a local charity supporter along with having terrific coffees, teas, smoothies, and pastries. Homemade doughnuts, breakfast sandwiches, coffee, and more—Tastease, 70 New Park Ave.—is a local favorite. Family-owned Tangiers, 550 Farmington Ave., is a restaurant and a grocery, specializing in Middle Eastern and Mediterranean fare, such as spicy falafel, chicken gyro, tabbouleh, baklava. Mozzicato DePasquale Bakery and Pastry Shop, 329 Franklin Ave., is ideal for cocktails, an espresso, a pastry. Sample a German-Polish smokehouse/deli, Adolf’s Meats & Sausage Kitchen, 35 New Britain Ave., for brats, hams, Canadian bacon, kielbasa, and more. Stop in at Spigot Cafe, 468 Prospect Ave., for ice-cold brews from around the world. Cash only. Feel free to bring food in to have with your beer! 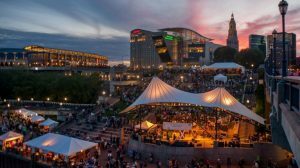 Discover more to explore from our Hartford Pinterest board and begin planning your TapRooT® trip to Connecticut today.